A little while ago it was Mr M’s birthday, and like any other birthday the occasion naturally called for cake. 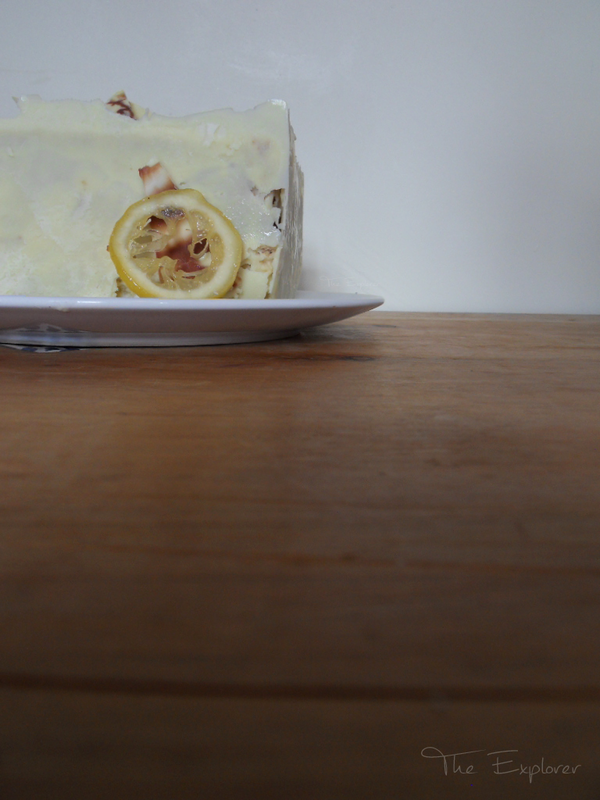 I have to be honest, I seem to be going through a very frustrating time with cake. I can’t seem to bring myself to just bake a cake. I have to do something I fancy with it. 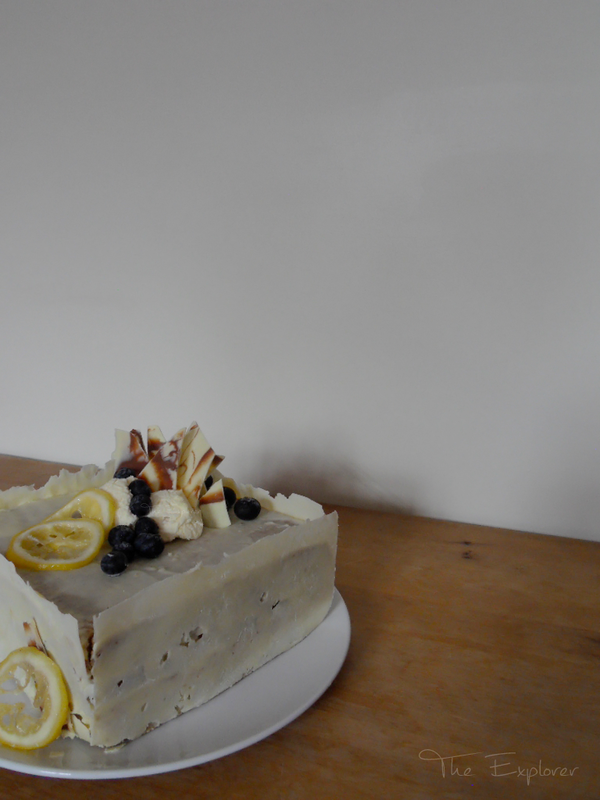 I want to make an aesthetically pleasing cake. I want to create a wow cake. 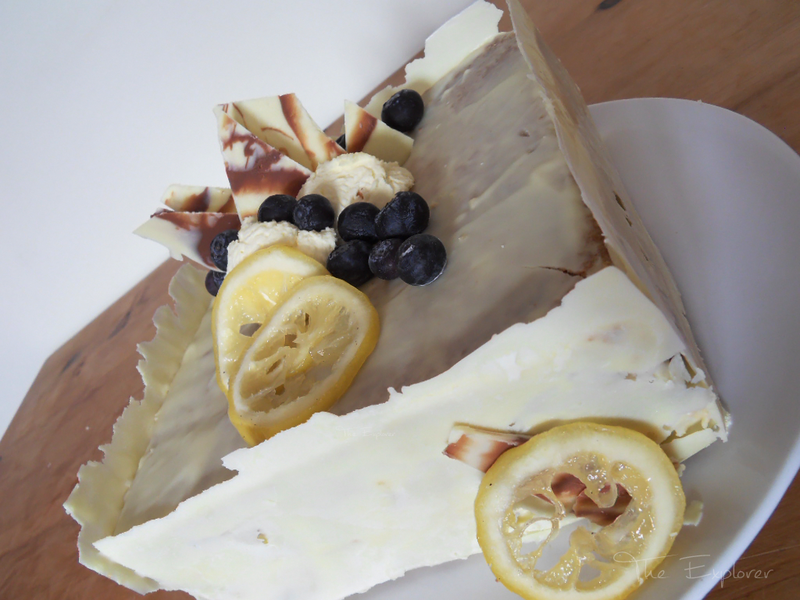 I want a fancy cake. Unfortunately, no matter how much I want it, I struggle to achieve it. So with Mr M’s birthday cake I attempted to calm my cakes and asked him what he wanted from a cake for his birthday. Quite predictably I got little guidance. Square. That’s what I got “square.” I have a tin that I rarely use through fear of creating something that looks like a breezeblock rather than a cake, and it is this tin that Mr M seems to be rather attached to. So that was it. Square. 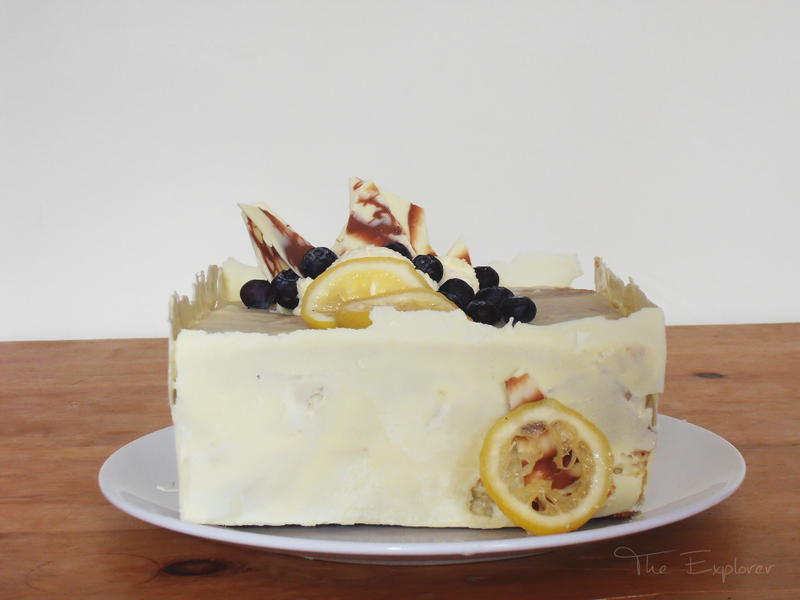 Lemon and Blueberry Sponge with White chocolate. Rustic. It works out perfectly that Mr M has a soft spot for rustic styles and that rustic just so happens to hide a multitude of sins! I’m quite proud of this cake. It looks pretty much as I intended it to and it tasted pretty damn fine as well. 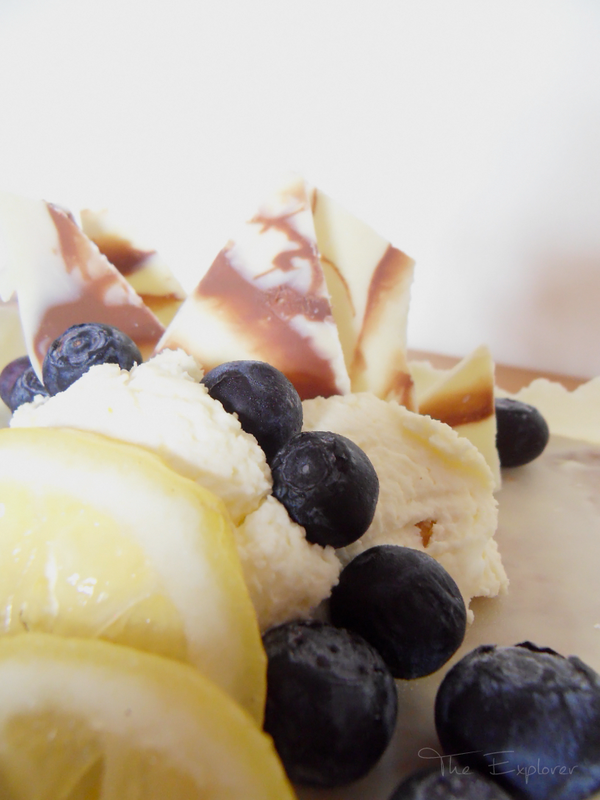 Lemon and blueberry is a classic combination that never fails to work. Along with the added white chocolate (let’s face it; there’s always room for chocolate) the flavour combination worked amazingly. Pre heat your oven to 180 degrees Centigrade and line two 18 inch tins. Using a standard creaming method cream together your butter and sugar until light and fluffy. Add in your eggs one at a time, adding a small bit of flour to avoid curdling (yum.). Once you have your basic mix add in your blueberries and lemon zest, leaving some blueberries to one side for decorating purpose if you fancy. 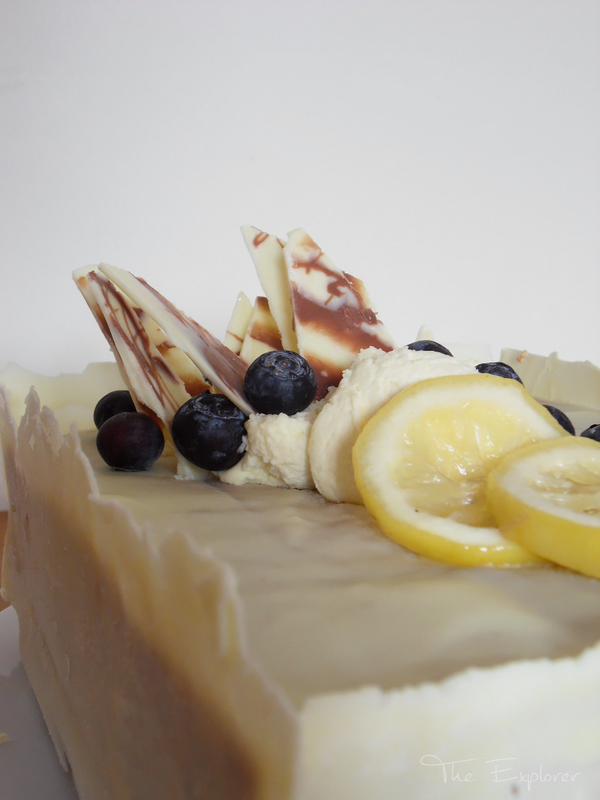 Splodge into your cake tins and bake for 20 to 25 minutes. For your filling whisk your double cream with the vanilla and optional icing sugar (I like to use icing sugar to add a little sweetness but if that’s not your bag then don’t add it, whatever floats your boat braa!). 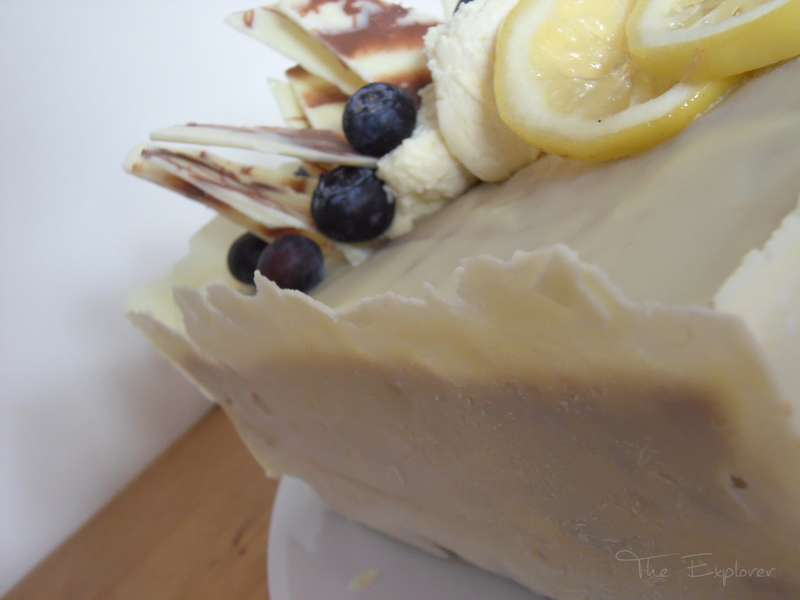 Melt your white chocolate and use to decorate your cake as you want. 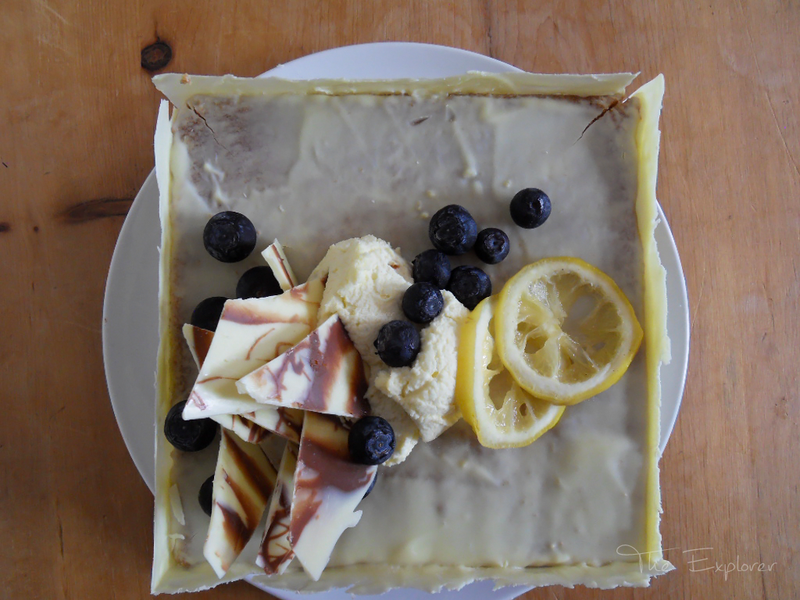 I spread it out of acetate and let it set before sticking it to the side of the cake. I did the same for the little milk chocolate shards on the top.